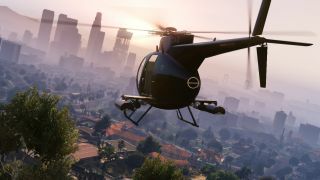 Now that Grand Theft Auto 5 is available on PC, it only makes sense that you should play with as many mods as your rig can handle. But beware: some users are reporting that not all mods are created equal. In fact, there’s one that might install a virus on your computer. Some GTA V players are having all their fun spoiled by a virus-ridden mod. But with so many mods available, which is the culprit? None other than the famous (now infamous,) “Angry Planes” mod. With this add-on installed, you become the target of every aircraft in the game. It's like cops and robbers, but replace the cops with commercial aircrafts and helicopters that try to crash into you. You (and your computer) might not have noticed anything suspicious upon installing the scripts, but we recommend that you uninstall the mod immediately. According to the mod site GTA5-Mods, the “Angry Planes” mod installs a nefarious file that most antivirus programs aren’t picking up on. "The mod did exactly what it advertised, however it also spawned a thread that installed malware on your machine behind the scenes. The threat was not picked up by running the .asi file through VirusTotal, which made it difficult to detect before running. This was an extremely sneaky attack, something I can't say I've seen in 12 years of GTA modding." Simply uninstalling the mod won’t ensure that your PC is virus-free. But our friends over at PC Gamer reported that GTAForums users have found success eradicating the offending files with the Malwarebytes application. If there’s anything to gain out of this situation, it’s that community-built mods will be watched more carefully going forward. Have you seen what people can do with Rockstar Editor?